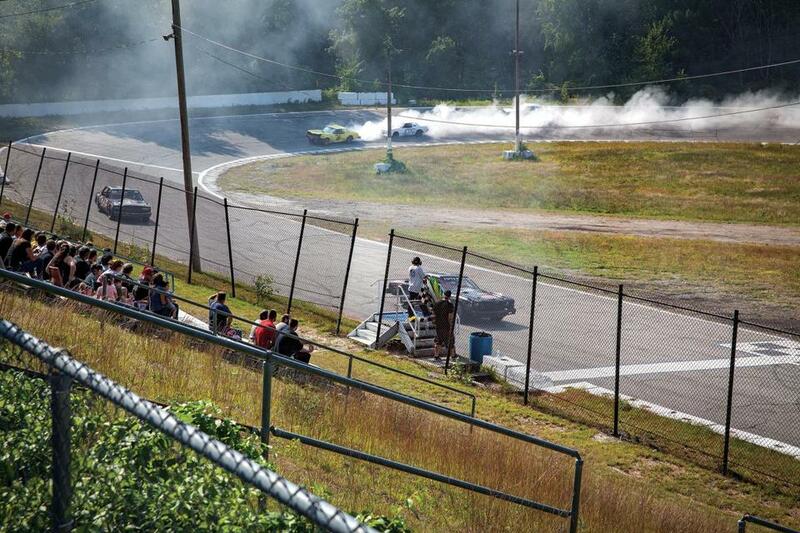 Photographer Porter Gifford captures the action at the New Hampshire speedway — a gritty first stop up the ladder of professional racing. 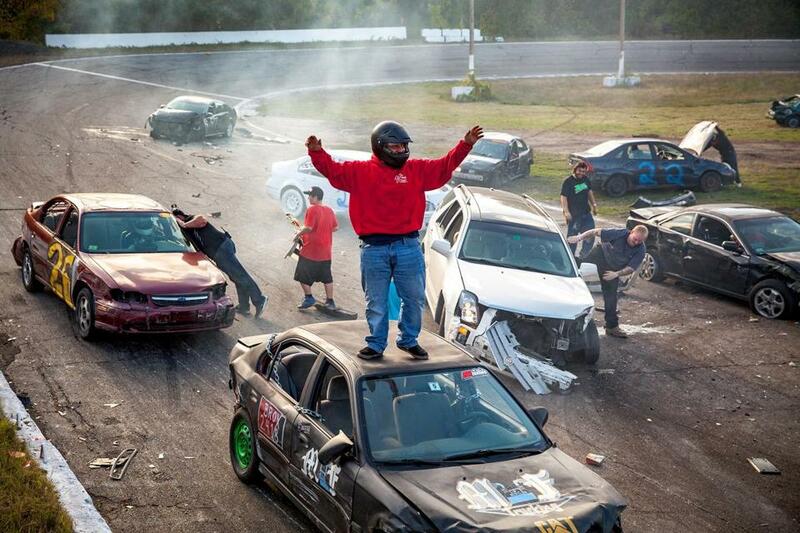 Dylan Fielding celebrates at the finish of the demolition-style Flagpole Race, held at the end of each racing day at New Hampshire’s Hudson Speedway. 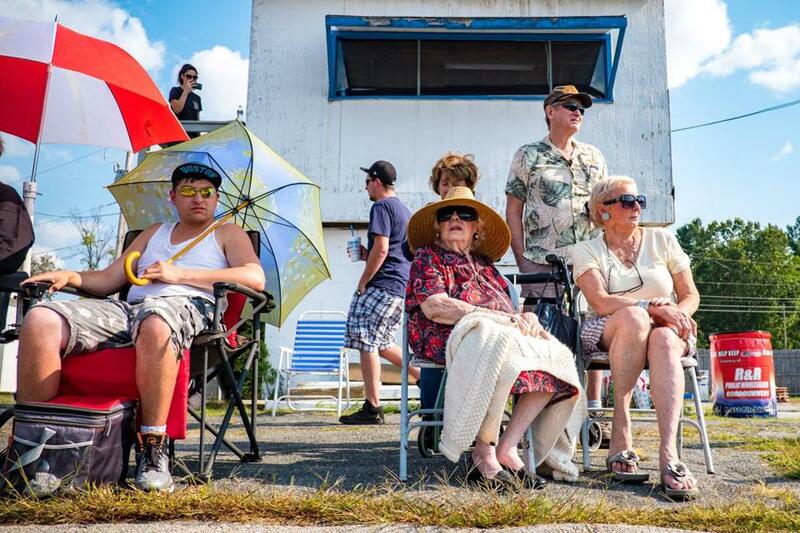 The grandstand at the 70-plus-year-old auto race track in Hudson, N.H.
Spectators take in the action. 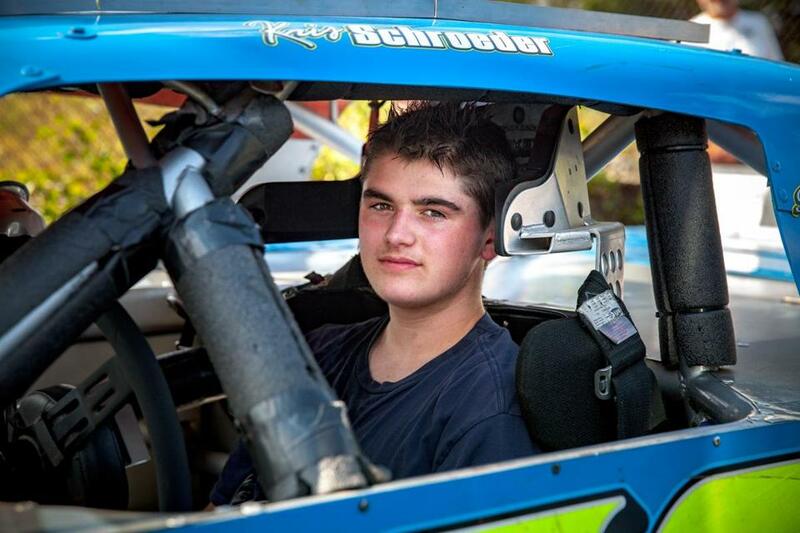 Driver Kris Schroeder at the wheel. 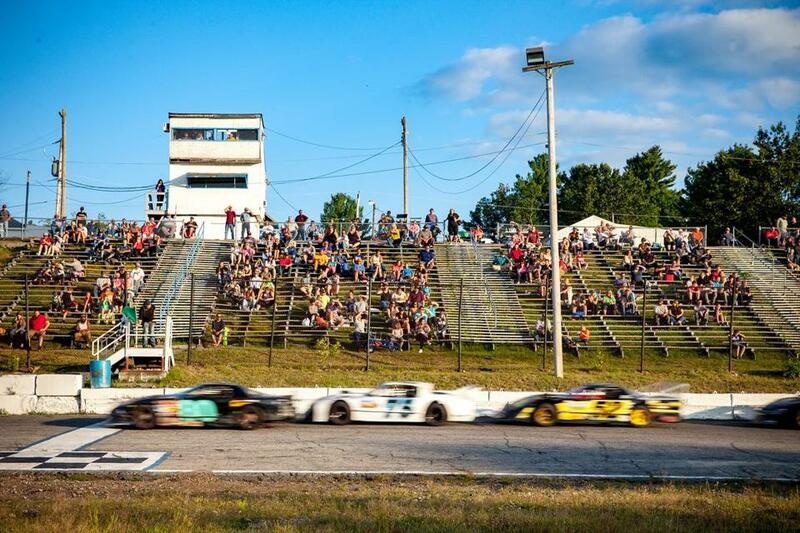 On most summer Sundays, the deafening roar of car engines pierces the country quiet at the Hudson Speedway. 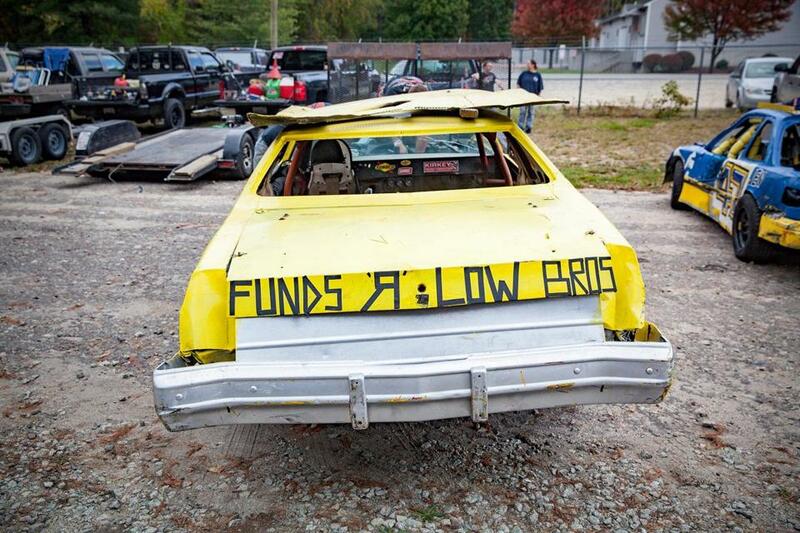 The message on the back of a car sums up the DIY attitude of some drivers at Hudson Speedway. 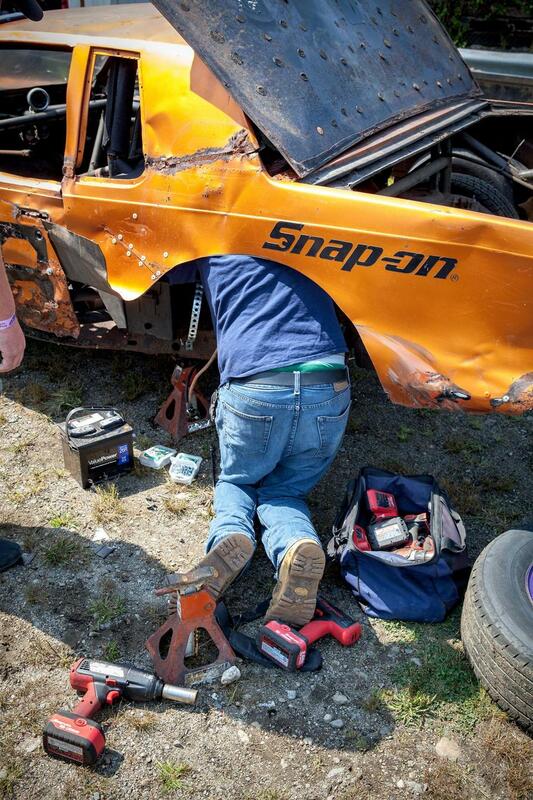 A mechanic works on getting one car ready. Driver Austin Erickson (shirtless) and his team make adjustments between races. Porter Gifford is a Cambridge native who, when not photographing people, places, or things, can be found walking his dog, playing hockey or not cleaning the basement. Send comments to magazine@globe.com. Follow us on Twitter @BostonGlobeMag.